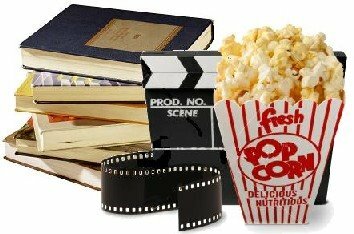 ARCS to Movie DOUBLE GIVEAWAY!!! It’s no secret that I adore book based movies. (Really, who doesn’t?) I’ve gone opening night to both The Hunger Games and Catching Fire, and I saw Mortal Instruments: City of Bones. I really liked Beautiful Creatures (once I let go of the fact that it was based on the book). I’ve seen both Percy Jackson movies (I like the second better than the first, and will admit that I read the series AFTER the movies). I yelled in theaters at some of the changes they did to the Harry Potter movies. I did miss Vampire Academy, but that was more my schedule than anything else. And I love hearing that a book is being picked up for a movie, so when they’re picked up BEFORE they’re even released, it’s even better! And we at Teen Librarian Toolbox are sharing our excitement with you! I have ARCs of TWO books that have been optioned to Hollywood, and you get your chance to win them before SCRIPTS are even made. SO, to win, mention in the COMMENTS your FAVORITE book based movie and WHY, along with a contact (email or twitter address). One winner will be randomly selected to receive BOTH ARCs. Giveaway ends Saturday, April 5 (International Tabletop Gaming Day, BTW). would have to be the city of ember because w r huge scifi/fantasy readers in this house. great book and great movie! It has to be Harry Potter. I think that's the only adaptation that I've loved as much as the books. They're still different, of course, but I love them equally. I have to go with Stardust (which is by Neil Gaiman). The movie was able to take some of my favorite parts of the book and really highlight them. Definitely a fun movie to watch and an even better book to read. Holes. I don't think anyone remembers the movie, but it is the only movie that got EVERYTHING right! They didn't make any new charaters, delete any key plot elements, and that song they play is sooo catchy! I'm on Twitter: TheTBIC and email graves8 at illinois.edu Thanks! I *loved* the movie Holes! I even tried eating a raw onion not long after seeing it the first time. (Bad idea.) Didn't know it was a book until years later, though. My favorite book to movie adaptation would have to be Jane Austen's Persuasion (1995). While it's not the most popular movie/series out there I think it is the most true to the book. Harry Potter was excellent because the characters were all cast by people who are the same age. My only complaint is that some really good scenes were cut out, and I don't know of any extended editions. For me Persuasion would have to win. Apparently I can't read directions. Anyway, as to the why, I just adore the movie – it's one that my choir class ALWAYS watched when the teacher was out in middle school, and I like it more every time I watch it. It's also one that can almost always cheer me up if I'm in a bad mood. My favourite was Catching Fire, it stuck to the book really well while still leaving me breathless with enjoyment, they still managed to make me wonder what was going to happen.